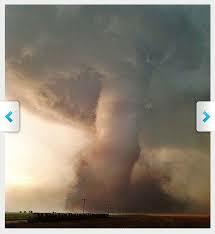 Living in Oklahoma, we are all too familiar with the terror tornadoes can cause. On April 27, 2014 around 5:30 pm in a small town called Quapaw, Oklahoma, we witnessed disaster strike again. Quapaw is a small town of about 900 people located in Ottawa County, which is 20 miles southwest of Joplin, Missouri. The tornado tore through the downtown area late that evening. Many utility crews are working to restore power after the tornado ripped through the small town. Unfortunately, one life was taken out of the six that were injured; four of the remaining five were released, and the fifth is in fair condition with a broken arm. The town Chief of Police Gary Graham says the department didn’t know the tornado was touching down until it was too late. The tornado damaged or destroyed the volunteer fire department, a bank and a significant number of homes. Officials say more than 60 structures were damaged. FEMA and Oklahoma Emergency Management will be holding a briefing Monday morning. Many Oklahomans are reaching out to do what they can to help the families and business owners that were affected by the storm. The local radio stations are taking donations as well, for instance 101.9 The Twister. There are also other ways to lend a helping hand. You can donate to Red Cross, help build a home with Habitat for Humanity, or give small things such as toiletries. Many Oklahomans live in fear of what will become of them when disaster strikes, but you can bring that thought to ease by simply lending a hand. At times, the smallest gesture can bring the biggest smile. To find out how you can help log on to News9.com for more information and ways to assist the families in need.